Welcome to Destinypedia's community portal! This is the place where the community comes together to organize and discuss. Learn what tasks need to be done and what projects there are to join, and share news about recent events or current activities taking place on Destinypedia. Meet the Destinypedians and Admins! Destinypedia:Featured needs more featured content! Nominate and vote for your favorite! Spice up your userpage with our userboxes and wallpapers! Lurk around newly-created articles and newly-uploaded files. Help out and check our wanted pages. Update 1.1.1 — Read about the latest update for Destiny 2! Citations! — Please cite your sources when adding information to the wiki! Use our handy guide for assistance! Discord! — Join in the conversation with the Destinypedia community on our Discord Server! Project Golden Age — Currently Destinypedia is labouring to expand and clean up the wiki's content by bringing articles in dire need of improvement to everyone's attention. Anyone is welcome to participate in this Project—from cleanup, to content expansion, to wiki updates. For specifics on what needs to be done, take a look at the project page. The wiki appreciates your cooperation and may the Light be with you! If you have something important to address to the community, please contact an administrator about having your news placed here. Click "Connect" above to join our Discord! Itching to ask something about the Destiny franchise? You can do so on this community page! This list is not exclusive. Feel free to ask us how to be featured here! Bungie Inc., the creator/founder and principal developer of the Destiny franchise. Official Destiny site, the official website for Destiny. destiny.bungie.org, the ultimate Destiny community fansite since 2013. 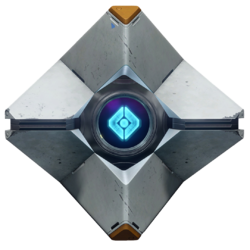 /r/DestinyTheGame, the subreddit dedicated to Destiny. Have something to say about this page or some news to share? Be sure to post it at the Community Portal discussion!